A wise person once said, "We are obsessed with living precariously through the lives of unhappy celebrities with false smiles. Stop buying books about other people's lives and romances. Your life is and should be the most fascinating, inspiring and memorable to you. Write your own books about your own life. One about the challenges, the about all the good stuff and blessings." There is no gift you can give yourself and others like a book of life. Your life. It's not only entertaining, it's informative, inspiring, gives hope and leaves you feeling whole, contented and at peace. A good family reunion planning keepsake book should do the same. Get a keepsake book that shows you how to celebrate and have fun with good people in your life... complete with event planning guide and keepsake journal. A book of life..."
What do you look for in a good family reunion planning book? 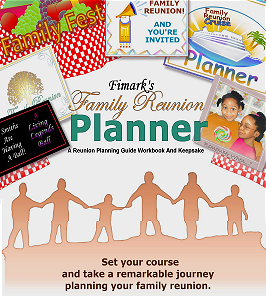 Notice these features of Fimark's Family Reunion Planner and Keepsake Guidebook. Looking for a family reunion keepsake book with genealogy forms to record family tree and family research? It's in there. 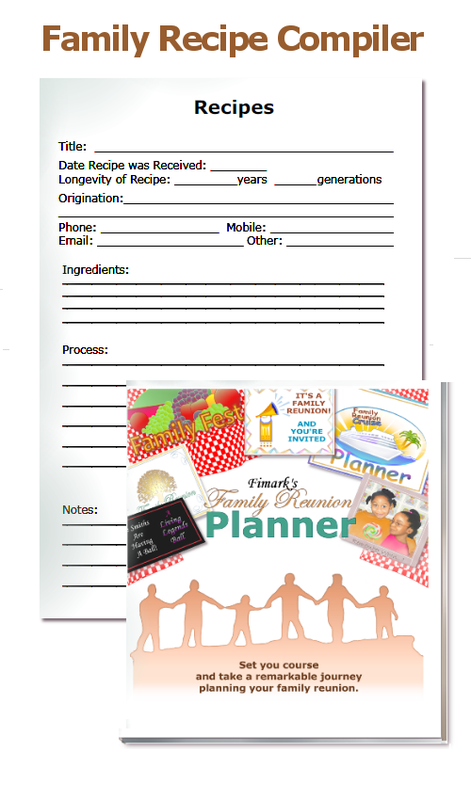 Would you like a family reunion keepsake recipe compiler to record traditional meals with origin and family history notes? It's in there. Are you looking for a family reunion keepsake journal to record those special moments? It's in there. Are you searching for a family reunion picnic dinner program? It's in there. Need a family reunion picnic luncheon program? That's in there. How about family reunion itinerary ideas? Yep. It's in there. We need outdoor family reunion games. It's in there. You got family reunion activity ideas? It's in there too. 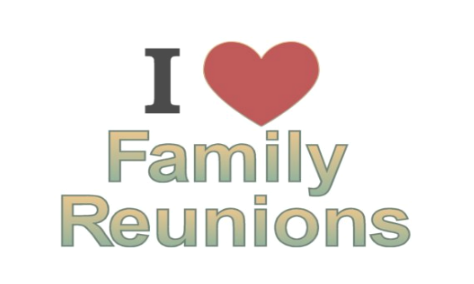 Looking for family reunion DNA genealogy presentation program? It's in there. Everything you need to plan, organize and manage a memorable family reunion event.